Does your kid love puzzles? Mine do. And luckily, many learning activities can be turned into a puzzle. 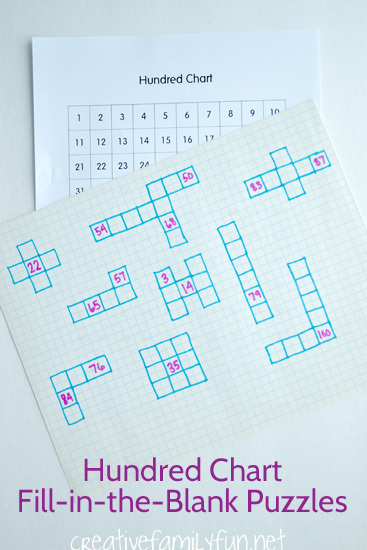 These fill-in-the-blank hundred chart puzzles are an easy DIY game your kids will love. 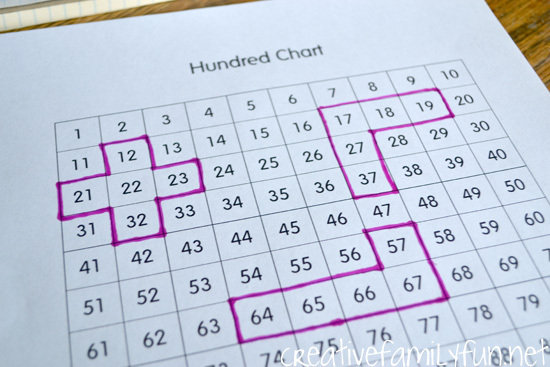 Grab a few colorful markers and sit down to make this fun hundred chart game. 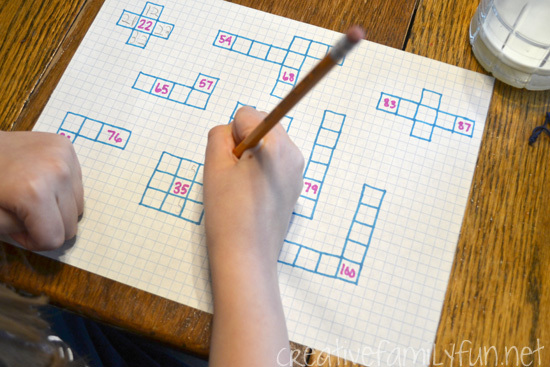 If you don’t have graph paper, you can use plain paper to draw your puzzles. I just found that the graph paper made the drawing so much easier. 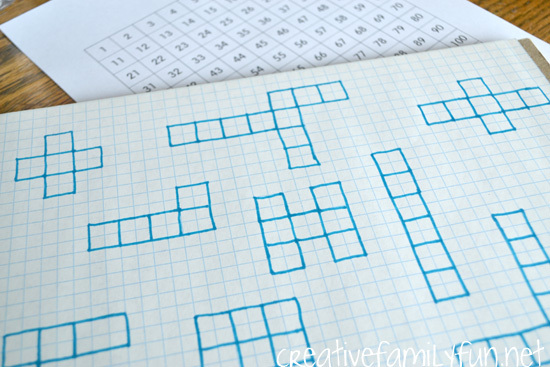 You can also find free printable graph paper online. To help you figure out the shape of your puzzles, take a marker and draw a few shapes on your hundred chart. Make large cubes, L-shapes, crosses, angles, etc. Make them as hard or as easy as your child needs. For example, I only used horizontal lines for my kindergartner. She’s not advanced enough for the complicated shapes and the last thing I want to do is make math discouraging for her. After I found my shapes on the hundred chart, I recreated the shapes on my graph paper. For the final step, I filled in one or two of the numbers in the shape. The challenge for this game is to fill in all the blanks. Each puzzle is just a small section of the hundred chart. Your kids have to figure out the missing numbers using the shape and the numbers you provided. Depending on the shape, they may have to go +10 or -10. Or, they may go +1 or -1. The game can be quite challenging. My girls had so much fun with these puzzles. And, they were learning along the way. They were working on simple addition, like +1 and -1, and number order. They also worked on adding 10 and subtracting 10. There are just so many skills to learn with this simple game. Don’t you just love when you can make learning fun? 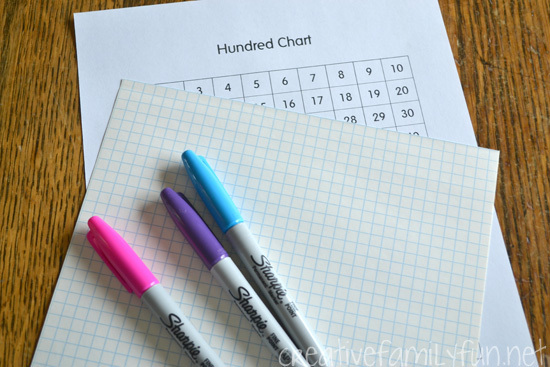 Math Homework 101: What is a Hundred Chart?